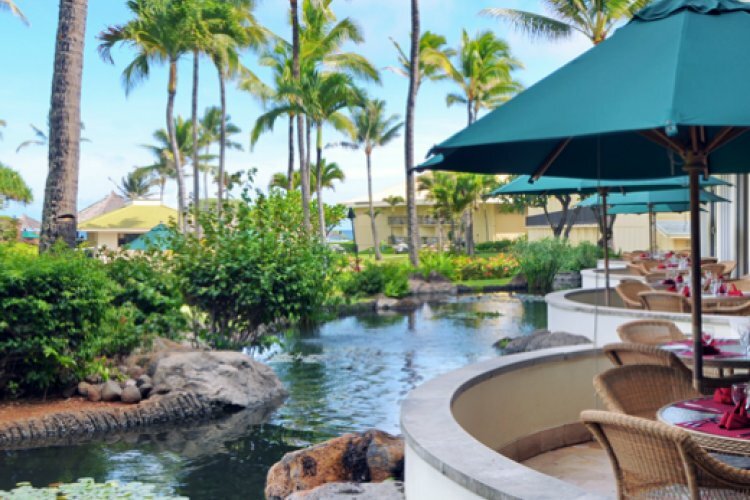 Claim your front row seat in paradise at our 25 acre oceanfront retreat on Kauai's longest beach near Lihue Airport. Explore the sandy beach, soak up some rays and play in the waves of the turquoise blue ocean. With 4 swimming pools, exotic waterfalls, 4 dining options, and numerous resort amenities, you'll enjoy a full-service island retreat. There's also plenty of relaxation on hand - soothing hot tubs, a well-equipped gym, and a health spa with a menu of rejuvenating body treatments. The hotel also offers a complimentary airport shuttle service.